The word ‘geodesic’ is a term of Latin origin, meaning ‘Earth dividing.’ The diameter and height of the dome are dependent upon each other. To reach the desired height, the diameter must be sufficient. 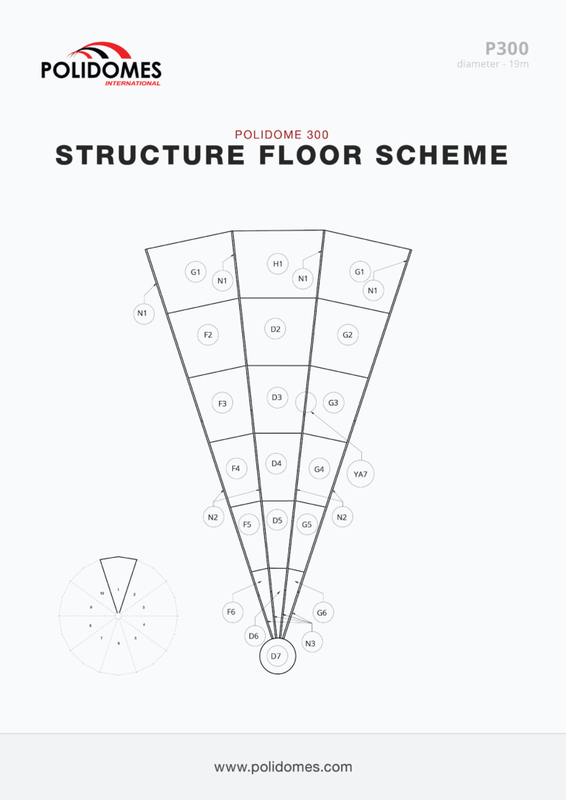 It is possible to erect large geodesic structures of variable height, not dependent upon the radius. Small structures, however, have the disadvantage of lower height around the edges. The lack of load-bearing interior walls or a roof results in limitless open space. Additionally, the structure can be opened, by removing lowest sections and replacing them with traditional doors and windows. 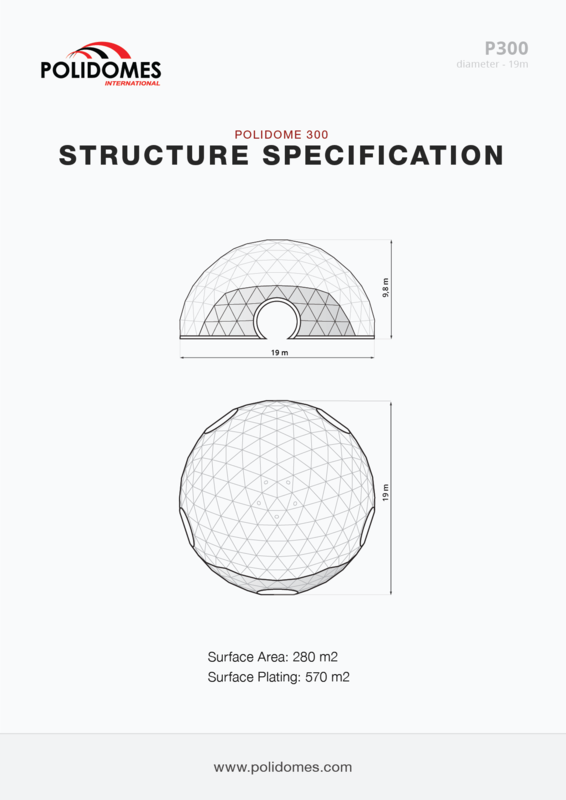 The p3000 is the most popular geodesic dome design among our customers. It is often supported by smaller domes, connected with tunnels. Thanks to its 300 square meter area, the p3000 is useful for much more than events and meetings – thanks to its height, it can be used as airplane hangar, or as a workshop. It can host a wedding reception for 150 guests in a dream location – on the beach, at the lake, in the desert, or in your own backyard! We know that you get only one opportunity to make a good impression. 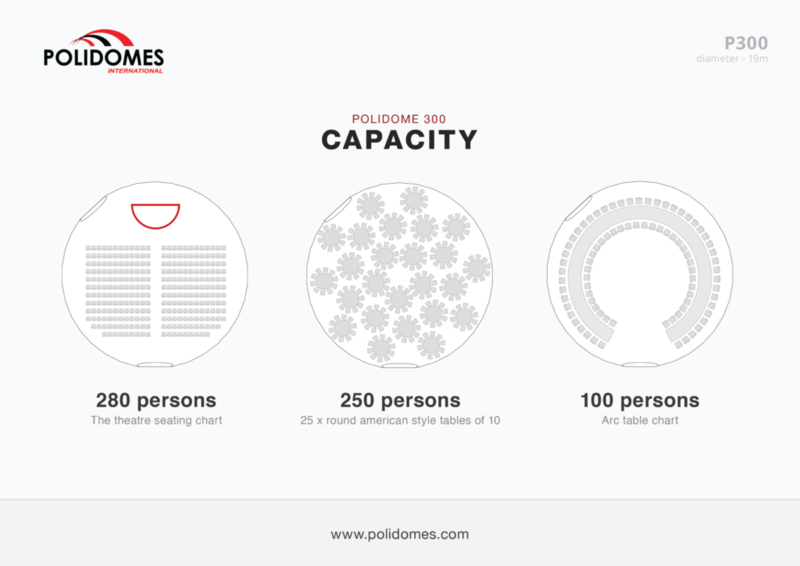 Give us the chance to be a part of your next special event and we can assure you that it will be a memorable one. If you have any questions about any of our structures, please do not hesitate to contact us.